And so the dream ends. 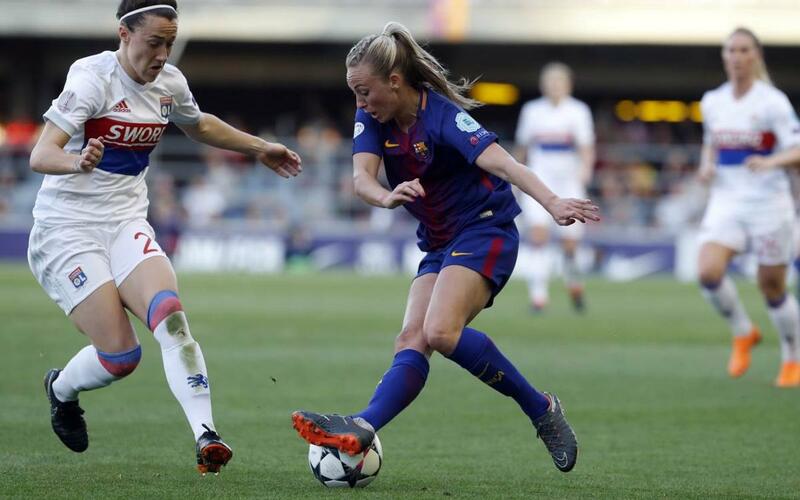 FC Barcelona have lost 1-0 at home to Lyon (and 3-1 on aggregate) in the second leg of the UEFA Women's Champions League quarter final and have bowed out of the contest against the defending champions. But they have exited the tournament with their heads held very high after fighting all the way versus one of the strongest women’s teams on the planet. And the Miniestadi witnessed a new record crowd of 12,178 spectators, including club president Josep Maria Bartomeu, first team manager Ernesto Valverde, and players past and present including Jasper Cillessen, Samuel Umtiti and Patrick Kluivert. Lyon’s first attempt, from Hegerberg was majestically saved by Sandra Paños after 5 minutes, but Barça then took the initiative with long periods of possession and some solid defending. Le Sommer and Renard both threatened, but the game was still scoreless at the break. Olympique pushed forward after the break, and although the Catalans were as defensively compact as ever, they were finally beaten when Le Sommer headed a corner. There was some doubt as to whether Patri Guijarro had managed to clear the ball in time, but the referee declared it a valid goal. Barça didn’t throw in the towel, although they now required two goals. Mariona and Bárbara were sent on to add something to the attacking mix, and Toni Duggan had a couple of fine chances that were coolly intercepted by visiting keeper Bouhaddi. Unfortunately, Olympique were able to hold their ground and advance to the semi-finals, while for Barcelona attention switches to Granadilla at 1.00pm CET Sunday in the domestic championship.